In recent weeks, commercial banks in the country have been engaged in trimming of staff to suit the economic situation. Last week, two banks, Ecobank and Diamond Bank sacked over 1060 staff citing economic downturn as reason for the cut. The recent sack has increased the number so far chopped off from the salary block in the industry since one year ago to about 8,500. What actually has change to warrant this? 1. The fall in global oil prices by nearly 60 percent from $115per barrel to about $44 per barrel in the past 23 months, thus resulting in lower government revenues, thereby decreasing banks’ takes. 2. With the introduction of the TSA, about N2.9 trillion of government funds were withdrawn from the banks and moved into the Central Banks of Nigeria (CBN) vaults. 3. 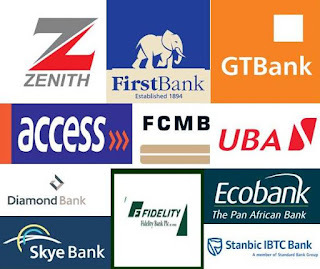 Nigerian banks are also faced with significant pressure from the abolition of commissions on turnover (COT), which came into force on January 1 this year. 4. To complicate the woes of the banks, the Economic and Financial Crimes Commission (EFCC) has recently beamed its searchlight on Nigerian banks, leading to the arrest of some bank managing directors. 5. The arrest was based on the allegation that they helped the past administration launder public funds of over $115m into private pockets. As a result, some banks were forced to return some undisclosed amounts of money to the federal government. This has further depleted their purses. 6. The worsening foreign exchange crisis. 7. The current inflation been experienced in the country.